Please call (707) 822-8045 or email: linneamandell@gmail.com for more information. or if you would like to leave us a note, sign the Chubritza Guestbook! 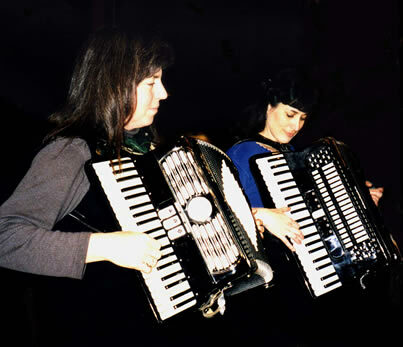 Janet Finney-Krull and Linnea Mandell harmonize on accordions.